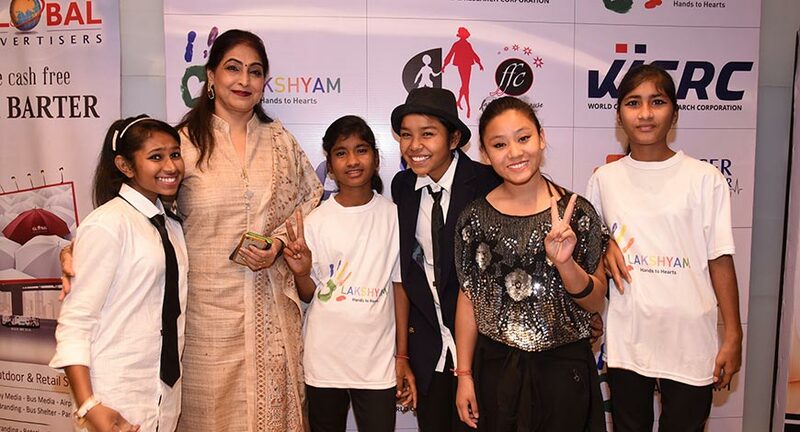 It was a grand evening hosted by Raashi Anand of Lakshyam where renowned personalities, industrialist, designers and individuals came forward and appreciated the 'Fashion for a Cause' initiative by NGO Lakshyam. The evening took place at Jade Ballroom, Sahara Star in Mumbai in support with WCRC & Cancer Healer Centre. The annual fundraising initiative Fashion For A Cause has a twofold objective that aims at garnering support from the society and raising funds for the existing programs for the girl child education and women empowerment. It aims at raising funds for the underprivileged children; where in FFC 2016 strives to fight for Female Education. It will also help young girls to use education as a vaccine for violence. The evening saw the best and the affluent names in the social circle from Mumbai, and Delhi – NCR walking the ramp such as Actor Anupam Kher, Actor Rajeev Khandelwal, Actor Jackky Bhagnani, Mountaineer Krushnaa Patil, Actress Mugdha Godse, Entrepreneur Kiran Bawa , Entrepreneur Keshav Bansal,, Consultant Neeraj Gaba,Socialite Arti Surendranath,Singer Shibani Kashpay, Dr Tarang Krishna, Abhimanyu Ghosh, Indian Television Academy Founder Anu Ranjan, and Television Actor Rohit Roy. Also Lakshyam Kids from its Basti walked the ramp with these personalities and attires designed by the fashionistas such as Rohit Bal, Varun Bahl, Gauri Nainika, Ritu Kumar to name a few. The fundraiser event implemented by Lakshyam has an impact on 1500 direct beneficiaries and around 10000 indirect beneficiaries annually.